Category Archives: Well I Never! 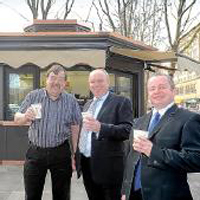 The installation of these kiosks will not only provide a range of high quality drinks and snacks but they will also bring people of all ages together to meet informally and socialise. The kiosks will also provide an important income for re-investment in parks. By bringing the café and kiosk service in-house we know we can offer local people a consistently high quality service at a fair price. 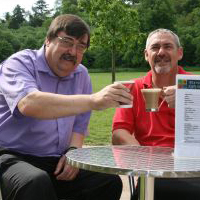 The catering service will not only offer a great service for visitors, it will also bring in additional revenue, which will of course be re-invested into the council’s park services. [It] will bring a quality service. This entry was posted in Well I Never! and tagged Diamond Catering, Gary Hopkins, Kier Group, May Gurney, Prestige Kiosks on June 11, 2013 by Jooohn Ag.